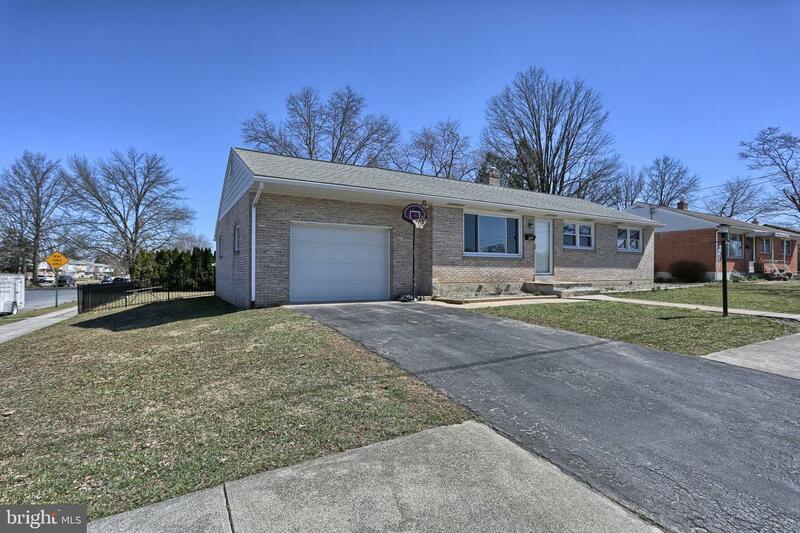 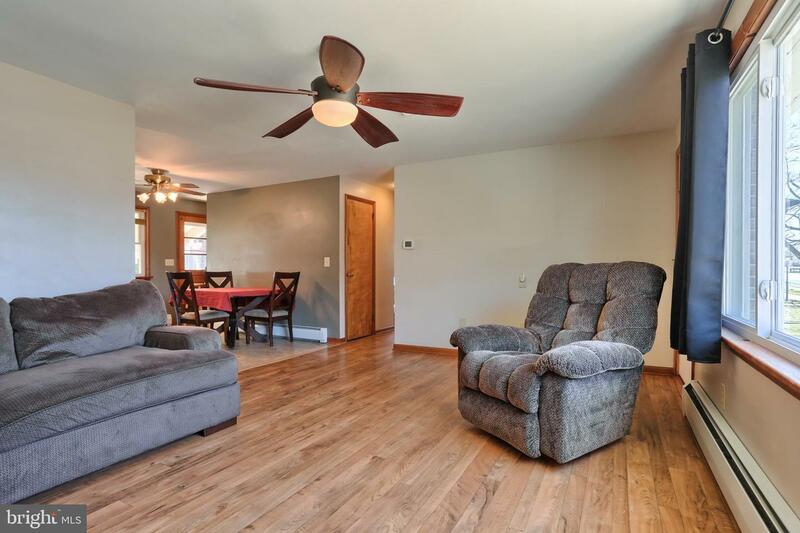 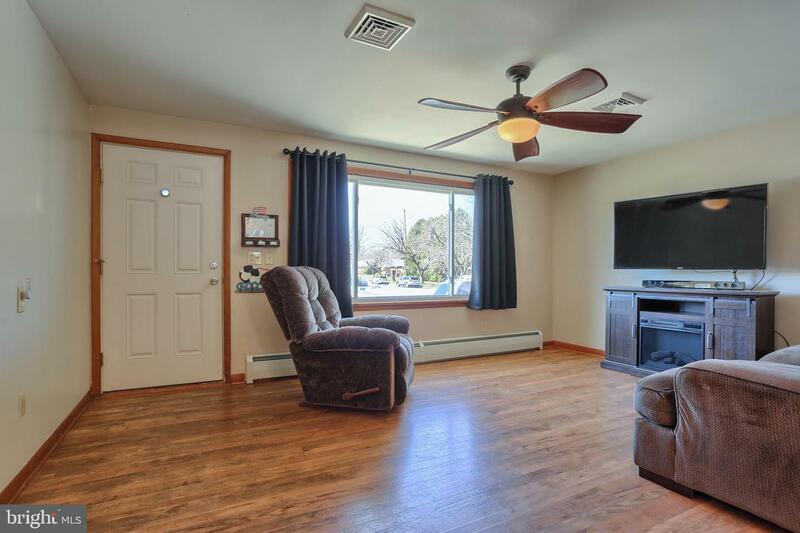 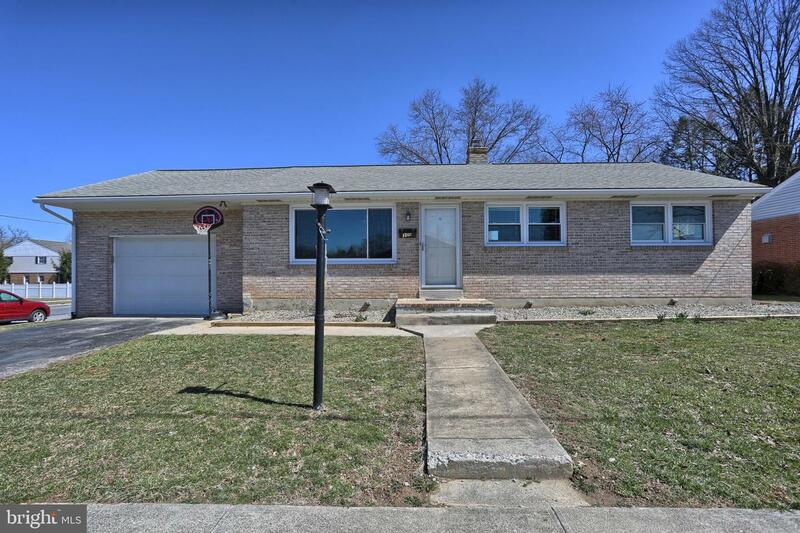 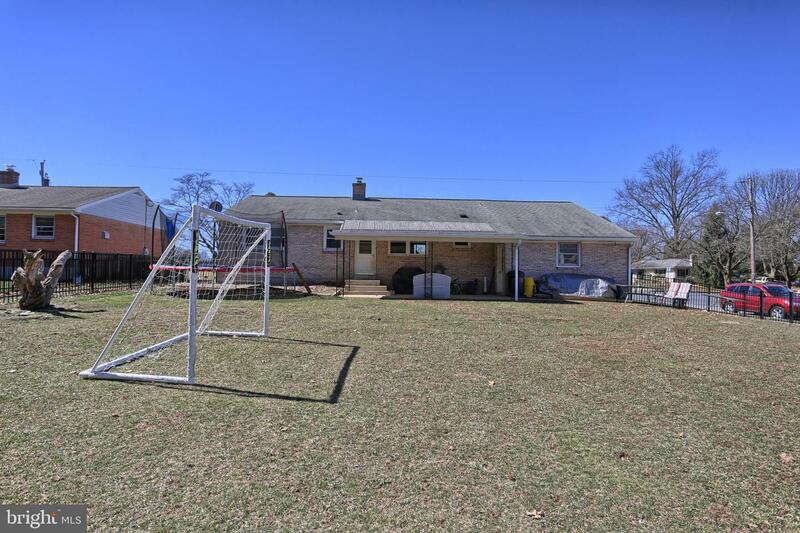 Sturdy brick ranch style home in the heart of Palmyra boasts updated kitchen and bath. 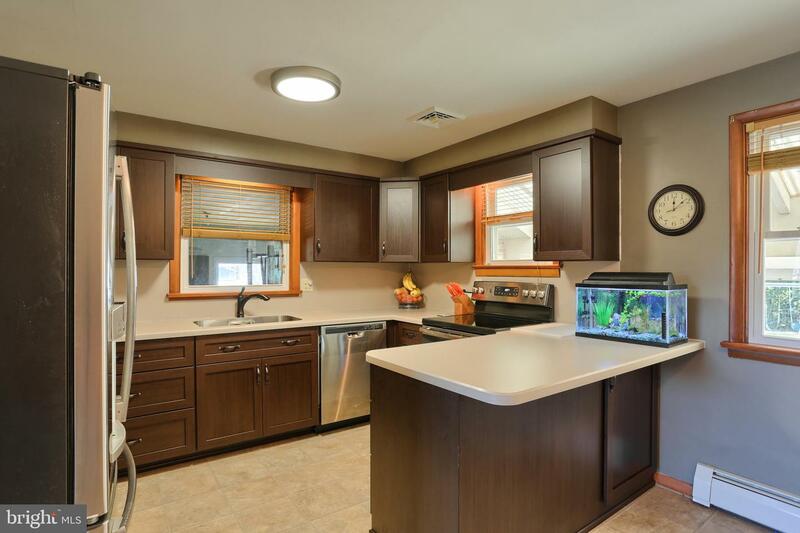 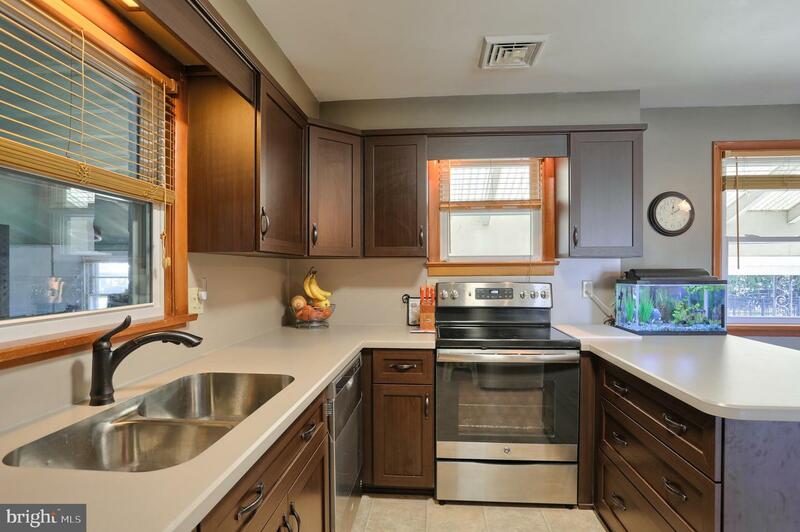 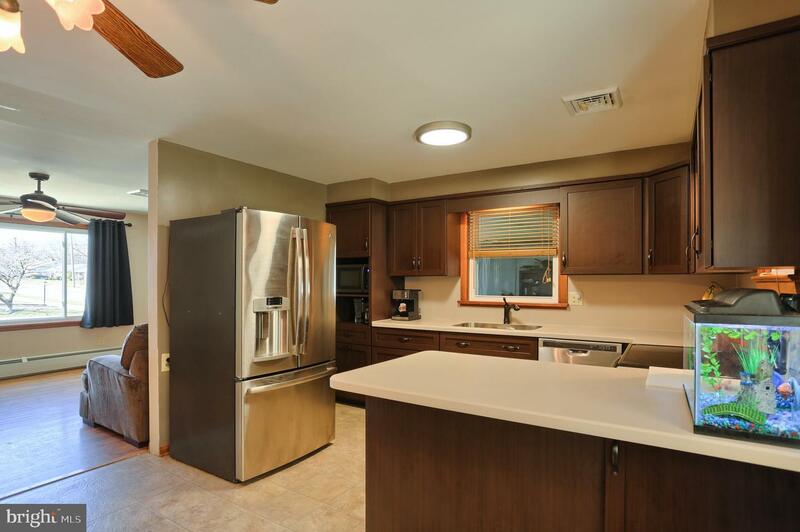 Modern kitchen has a functional breakfast bar with seating for three, stylish cabinets with a soft close feature, and stainless steel appliances. 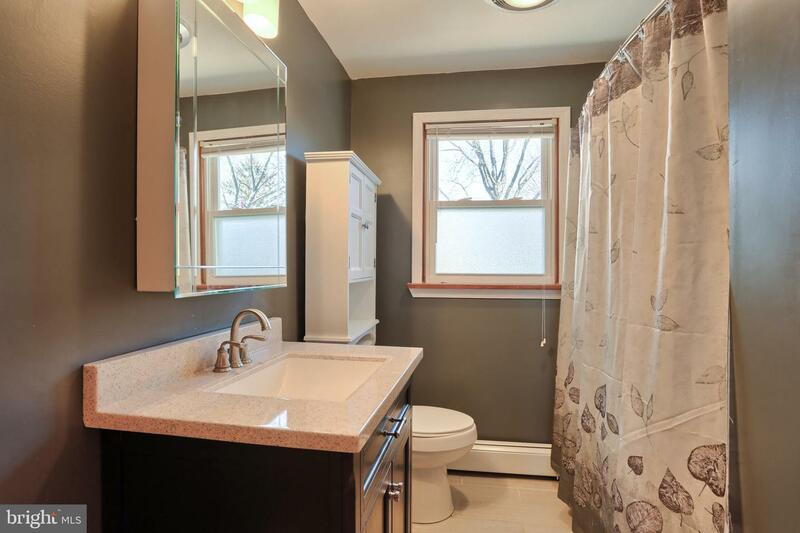 Bathroom shines with solid surface counter and tile floor. 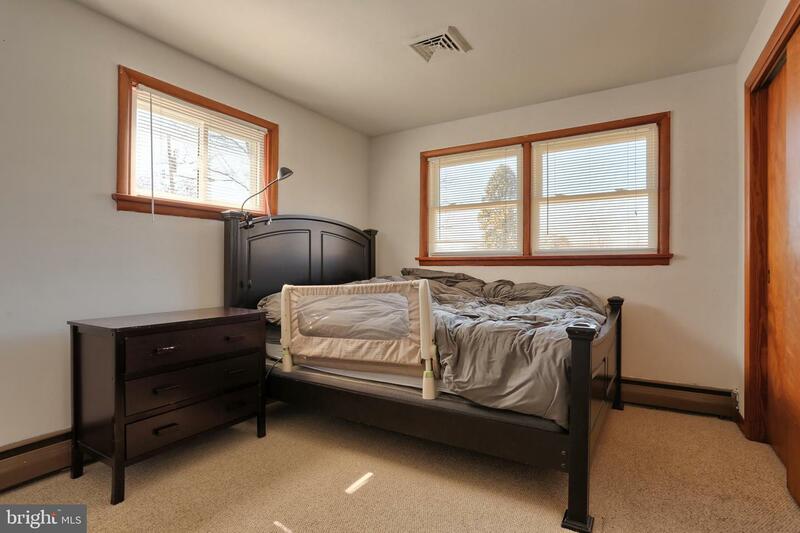 Well maintained home features replacement windows. 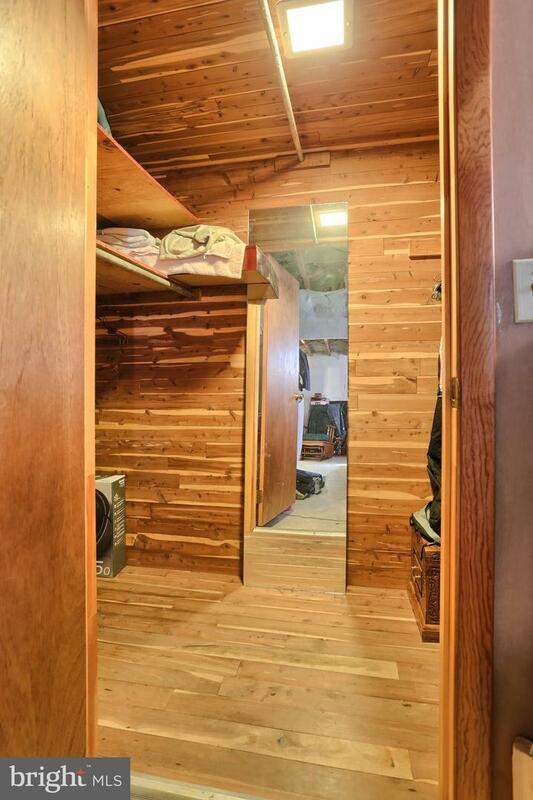 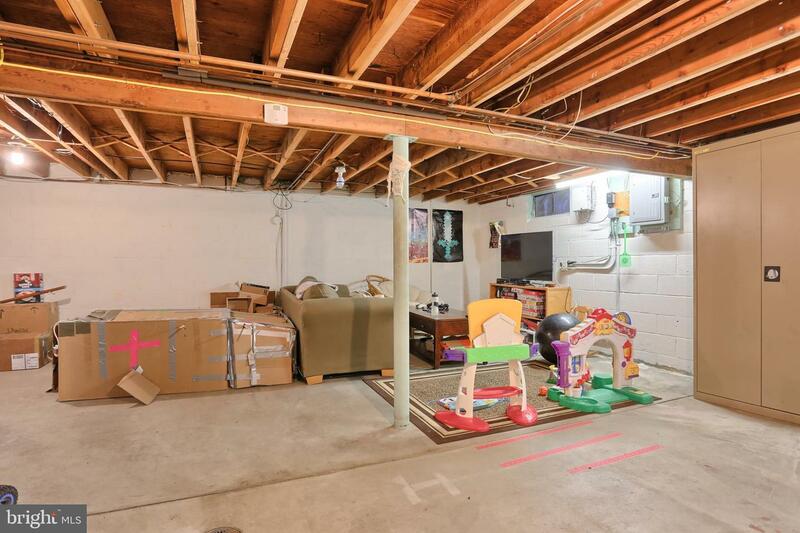 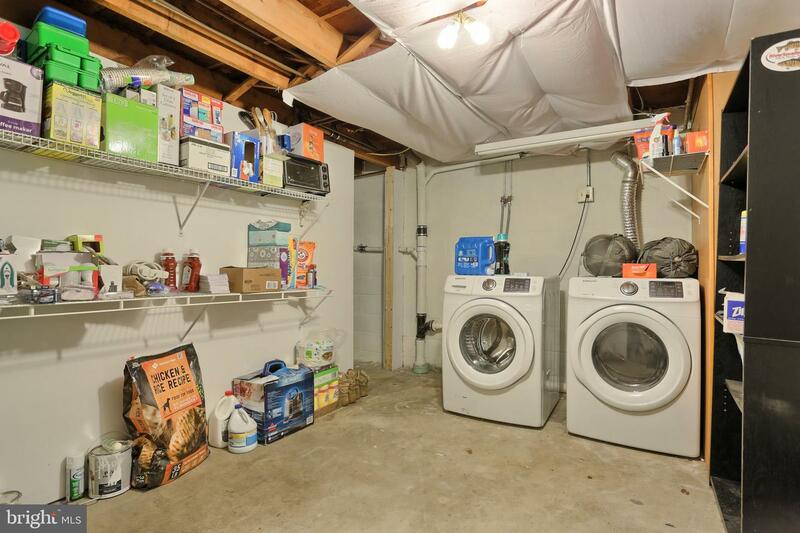 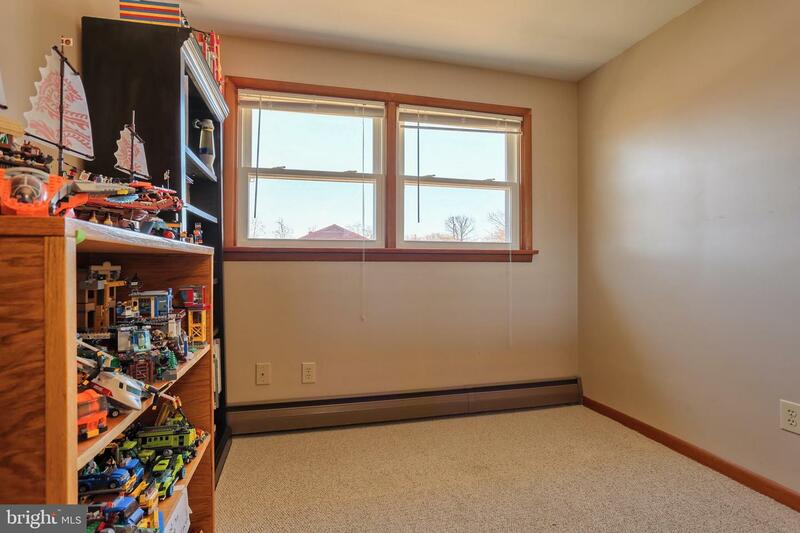 Oversized garage provides additional storage area. 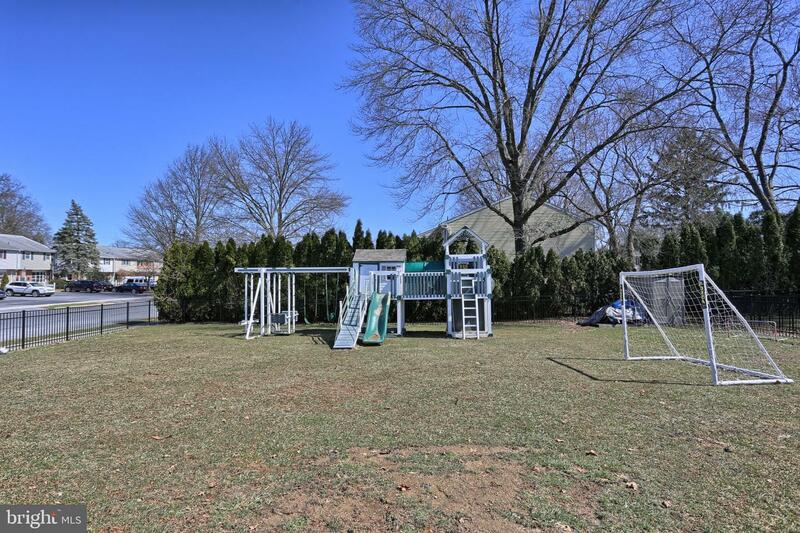 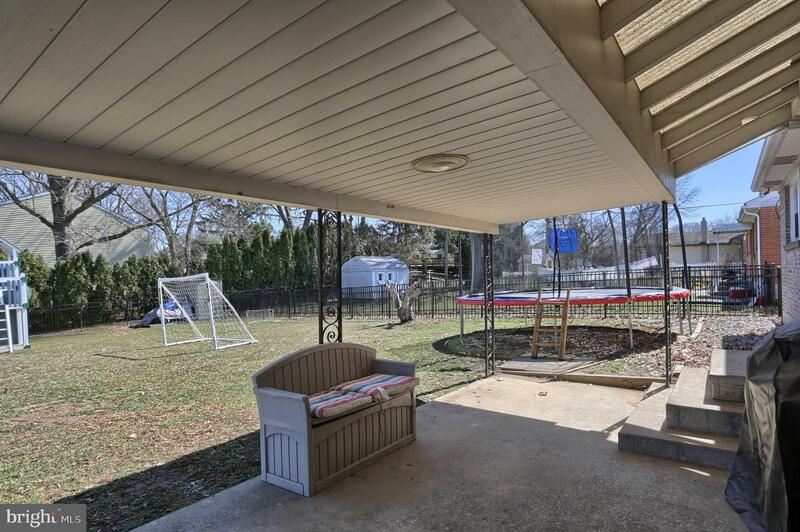 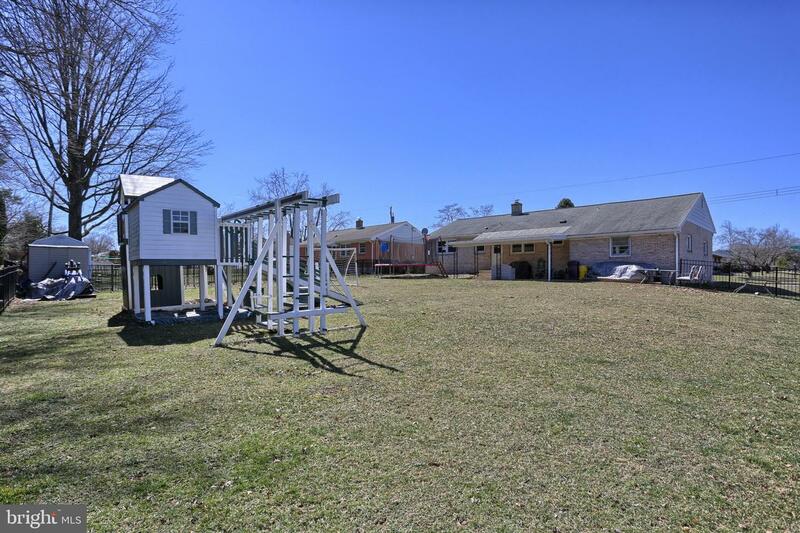 Amazing outdoor area includes a covered patio overlooking a level fenced yard and impressive playset. 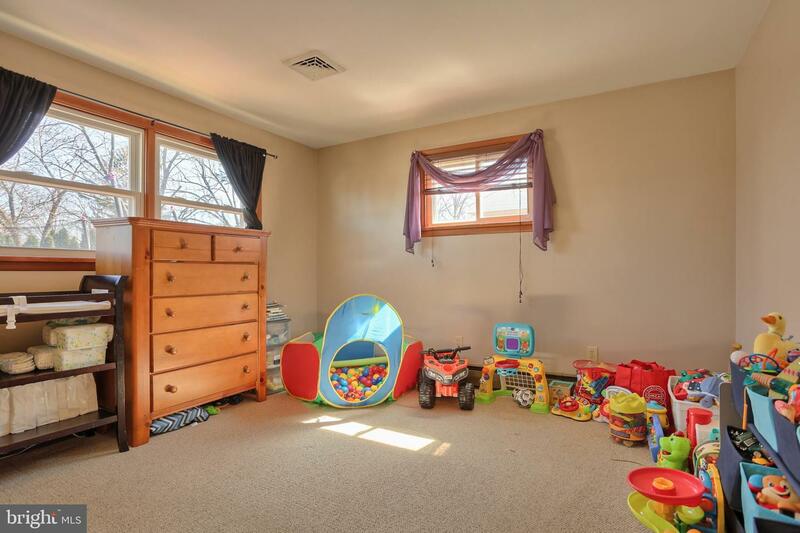 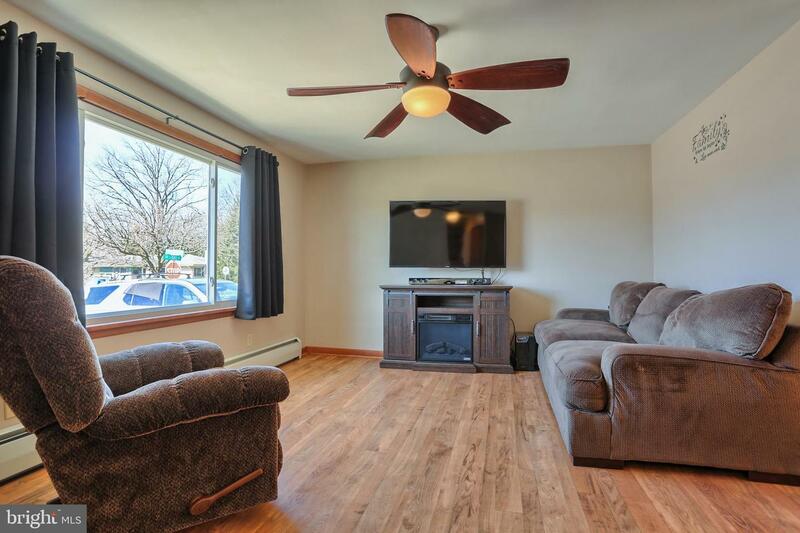 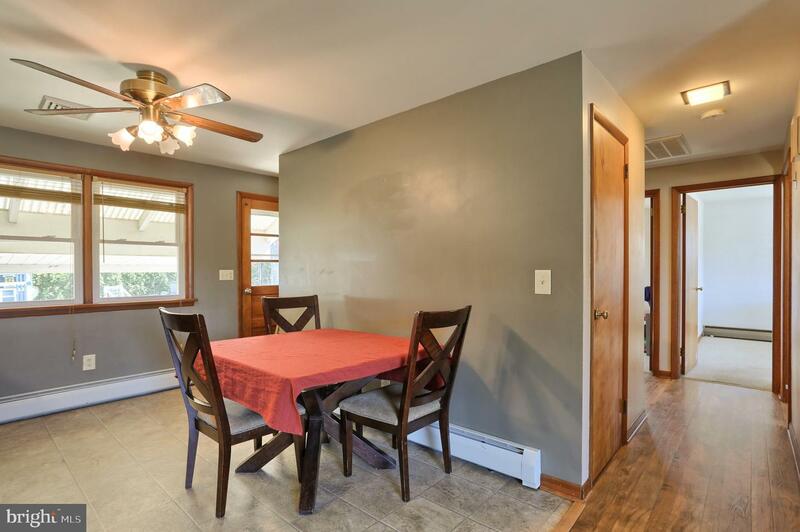 This corner property is situated in an ideal location in walking distance to school and park.